representatives sorted donated items to assist those pets and pet owners impacted by Hurricane Florence. find emergency shelters or hotel accommodations that accept pets. If you have animals, then you know leaving them behind is never an option. Hundreds of people were left homeless when flood waters destroyed their homes. 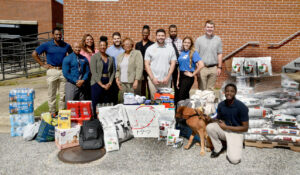 Tuskegee University’s College of Veterinary Medicine wanted to assist pets and pet owners affected by Hurricane Florence by donating supplies for pets and pet owners. The college’s students, faculty, and staff collected personal-care items, nonperishable foods, water, pet food, and other items needed by those who experienced losses as a result of the hurricane. The donations were then given to the Lumberton Receiving Warehouse and the Robeson County Animal Shelter — both located in North Carolina — where they will be distributed to those areas and individuals in need. Dr. Ruby L. Perry, the college’s dean, praised students Austin Deese and William Galbreth, both members of the class of 2021, for their efforts to rally donations and support. Perry was especially grateful to Hill’s Pet Nutrition for donating 2,000 pounds of dog and cat food, and to Purina for donating 380 pounds of dog and cat food to the hurricane-relief effort. “We say ‘thank you’ to all for helping the College of Veterinary Medicine make a difference for families in need, as well as our alumni who have been affected by the hurricanes. Our thoughts and prayers continue with all victims of Hurricane Florence and, most recently, Hurricane Michael,” Perry said. According to the American Veterinary Medical Association, North Carolina reported that 90 out of North Carolina’s 100 counties issued emergency disaster declarations as a result of Hurricane Florence. 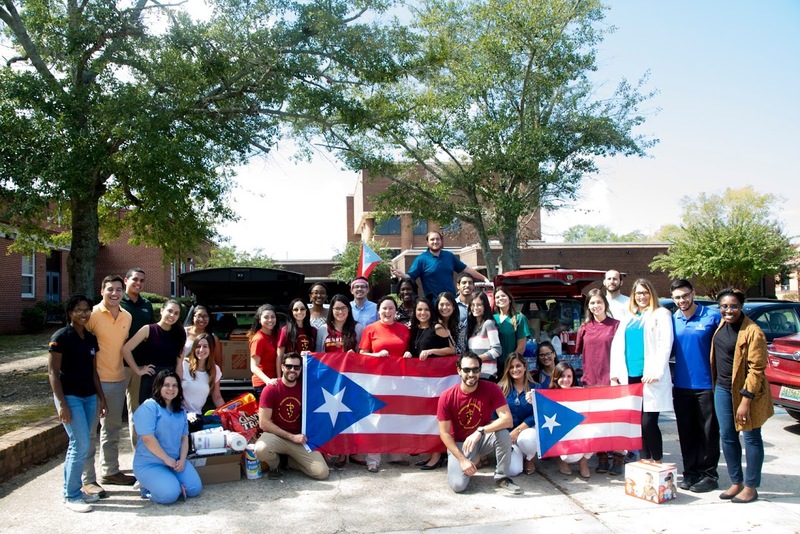 Following Hurricane Maria, the Tuskegee College of Veterinary Medicine also conducted a hurricane relief drive for victims in Puerto Rico, Dominica, and Mexico.